Tranquil, magical, and seductive—you’re guaranteed to fall in love with Skiff Mountain Farm, located in bucolic Kent, Connecticut, 90 miles from NYC and 9 miles to the Metro-North. 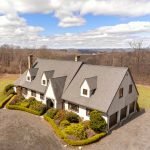 Some of New England’s most picturesque views can be found at this resplendent country property encompassing over 12 acres of open pasture surrounded by land trust. A rare opportunity that delivers soul-soothing privacy with spacious indoor/outdoor gathering areas, a swanky entertainment patio and lawn, a party barn … and a massive in-ground pool that can accommodate 100 of your closest friends. You’ll enjoy westerly and southerly views from the 19th century clapboard house featuring exposed wood beams, a sun-drenched great room with one of three fireplaces and a trio of French doors opening to the stone terrace, a grand master suite with dual bathrooms, romantic fireplace and balcony affording 270 degree mountain views. Other highlights include a 2-bedroom guest house, caretaker’s apartment, a two-story 18th century barn, 34’x80’ Gunite pool with pool cabana, tennis court, and horse paddock. The elegant grounds are further beautified by a select array of mature specimen trees, flowering perennials, apple and pear orchards, and lovely statuary accents. This bucolic bombshell is being offered for the first time in two decades. Owner has deeded right of first refusal to surrounding land. 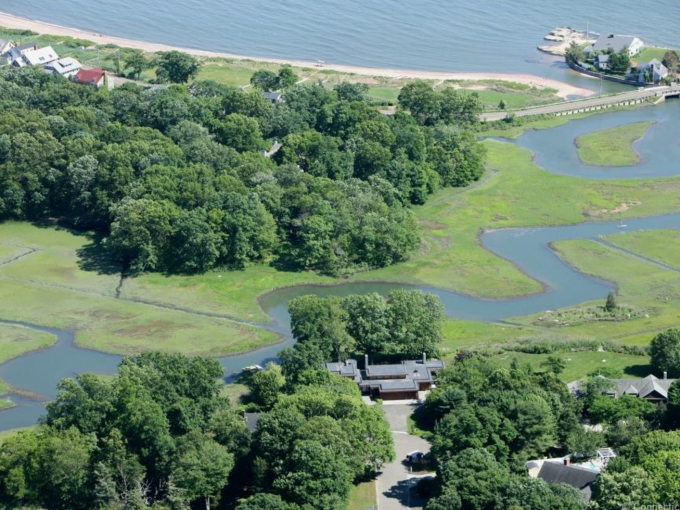 One of the very best level and open properties to ever come available in the Litchfield Hills. You’ll need to see this property to feel it’s soothing powers for yourself. Incorporated in 1739, Kent is quintessentially New England with its covered bridge, meandering stone walls, historic buildings, working farms and woods with grand old trees and gobbling turkeys. Outdoor enthusiasts enjoy the many hiking opportunities on the Appalachian Trail and in Macedonia Park as well as biking, swimming and picnicking near Kent Falls or Lake Waramaug. The Housatonic River is a mecca for fly fishing, canoeing, kayaking and tubing. Skiing is available nearby in the Berkshire Mountains. For those with more cerebral interests, Kent is considered by many to be the cultural capital of Litchfield County and has long been home to artists and writers who enjoy its inspirational natural beauty. Also to be savored are the art galleries, bookstores, world-class music and annual Kent Film Festival. Kent is also home to three preparatory schools: The Kent School, South Kent School and The Marvelwood School. The town is approximately 85 miles from Manhattan and is just minutes from Metro North train service.